Compatible with all 3M DBI-SALA Tool Belts, the D-ring Belt Loop Attachment creates an instant attachment point that is load-rated for 5 lbs. 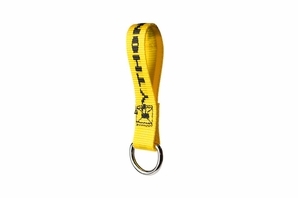 Belt Loop D-rings are compatible with 3M DBI-SALA Comfort and Utility tool belts. Fast, simple and effective means to tie-off your tools to one of our 3M DBI-SALA belts.